A local charity in Nottingham is calling for your vote to secure up to £50,000 of National Lottery funding as part of this year’s People’s Projects. Footprints CEC, which is based in Nottingham, needs funding for their project #thesekidsCAN which is one of five groups in the Central East region in the running for a share of a life changing pot of £3 million up for grabs across the UK. Film of #thesekidsCAN project will be aired on ITV Central East so that viewers can vote for this year’s winners. The project #thesekidsCAN will enable Footprints to reach further into the community and help more families with children with disabilities. Footprints will offer more sessions out of school hours and offer home visits. The importance of reaching more parents/carers to support them as well as their child is paramount to what Footprints do. Conductive Education is extremely beneficial in helping children with mobility and communication problems develop the skills they need to thrive and achieve their potential. On Friday 5 April 2019, Footprints will showcase its project #thesekidsCAN on ITV regional Central East news at 6pm telling local viewers exactly why they deserve to win. To be in with a chance of claiming the top prize, Footprints is asking people to support its bid by visiting the People’s Projects website to vote. 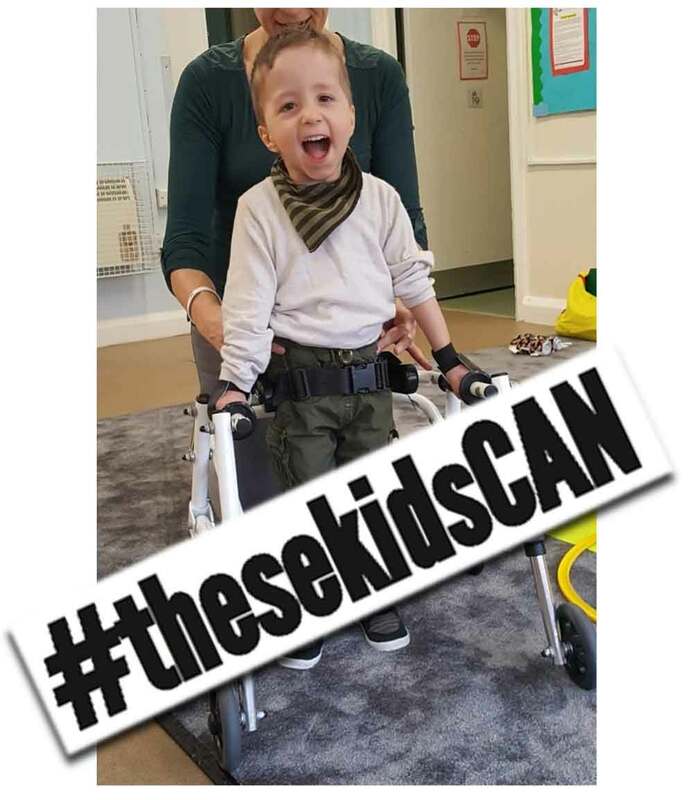 Voting opens at 9am on Monday 1 April at www.thepeoplesprojects.org.uk, #thesekidsCAN can be found by selecting the Central East region on the website. Over the past month thousands of children from schools and nurseries in and around Nottingham have been decorating footprints for the charity. They have had the whole region involved in this top secret project to show all children have a unique footprint. The footprints have been turned into leaflets which will be handed out all across Nottingham and if they are successful in winning all those children will have left their footprint in the lives of so many families. If successful, Footprints will use the grant to ensure everyone who would benefit from their services can access them. Lots of parents work and can’t come to sessions during school hours. Many Dads can’t learn how to help their children because they are working while the mums are caring for the child. Many families don’t have the transport to travel to sessions or their mental health is very fragile and they can’t face coming along to a group session. Footprints want to offer sessions so working parents can attend, dads can attend, or both parents/carers can come at weekends together. They want to go into homes to offer help and support and teach parents/carers how to help their child develop and progress. The hope being they will eventually feel strong enough to come to our premises and meet other parents and work together as a group to help the children. Footprints want to help stop the isolation and distress many parents/carers of children with disabilities face.